Kids Bible Lessons - You Can Be a Hero for God! 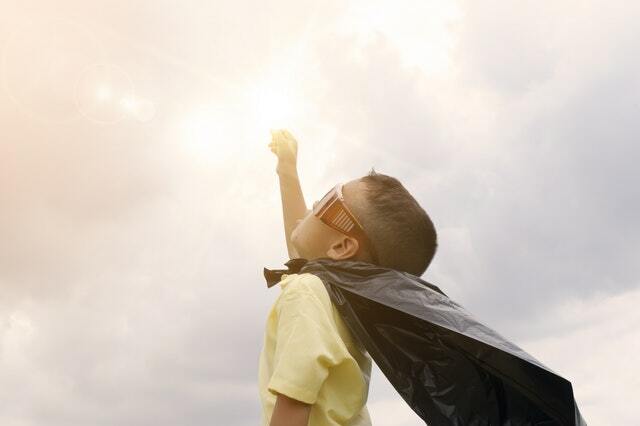 These kids Bible lessons use the familiarity and fun of comic heroes along with truths from God's Word to help kids learn how they can stand firm and be a hero for God! Most include links to longer more in depth kids Bible lessons plans to use for classroom such as Sunday School or group lessons. Do you have any idea of who Peter Parker is? What if I told you he was an ordinary, “nerdy” high school kid with problems fitting in just like everyone else?! Still no clue? What if I told you that Peter got bitten by a radioactive spider and his life was changed? Oh…now you know?! Yes, we know him as Spiderman! 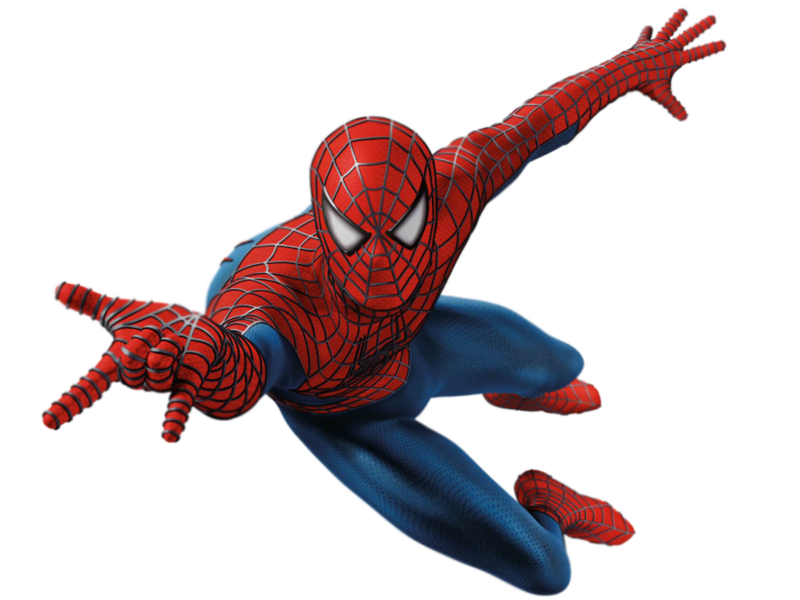 Now what happened to Peter Parker was random; it was an accident, and well, he wasn’t really real anyway! He reminds me of another Peter mentioned in the Bible though who was real. His name was Simon Peter. What happened to him was anything but random or an accident…He was chosen! Simon Peter was an ordinary young guy in the family work of fishing. He and his brother, Andrew, were out in their boat fishing away one day and catching NOTHING. Then they met Jesus! LOOK IT UP: Find the Gospel of Matthew in your Bible. (Hint: It’s the first book in the New Testament.) Go to chapter 4 and read verses 18-20. Jesus chose Simon Peter and 11 other ordinary men to follow Him. They weren’t rich or super smart or super talented…they were 12 regular guys. They each had a choice of whether they would follow Jesus or not. Peter did follow Jesus, and God used him in incredible ways! Why he was the only one who has walked on water other than Jesus! Flip over to Matthew 14:23-33 and read it for yourself! THINK ABOUT: What caused Peter to start sinking? What happens when we take our eyes off Jesus? When are some times in your own life you doubt? Jesus didn’t give up on Peter when he doubted, He reached out and saved Peter! REMEMBER: Jesus has chosen you too! Salvation is not automatic though; He lets us choose whether we will follow Him or not. PRAY: Thank God for sending Jesus to be your Avenger/Redeemer! Thank Him for choosing you & loving you! 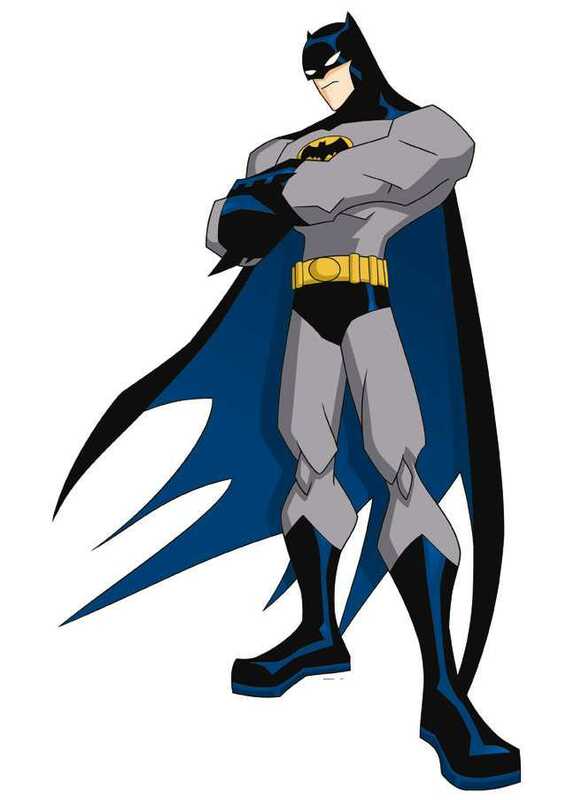 Full Kids Bible Lessons with Lesson Plan - "I Am Chosen"
Bruce Wayne … He didn’t have what most other super heroes had. Did you ever realize that Batman had no super power?! He was an ordinary man that dressed up in a special suit and had some really cool gadgets; he had the Batmobile, but he did not have a super power! He couldn’t fly, climb high buildings or have super strength. What he did have though…was a helper, a friend that came alongside him – Robin. In the Old Testament there is a man you may have heard of – Moses. We know God used Moses in an incredible way to lead the Israelites out of slavery in Egypt. Moses wasn’t anyone super or special; he was ordinary. In fact, many people think he may have stuttered! How was God going to use him when he had a problem talking?! LOOK IT UP: Turn to the second book in your Bible and read Exodus 4:10-15. When Moses tells God that he can’t talk well, did God give up on him? (No!) Did God fix Moses? (No!) What did God do? Yes, God gave Moses a helper, someone to go with him, his brother, Aaron! Batman had Robin; Moses had Aaron…and did you notice God said He would be with them too?! You may feel like you’re just an ordinary kid with nothing special about you, but you are WRONG! God loves to choose ordinary kids just like you to do super-great, incredible things! We don’t need super human power when we have Jesus with us! When we belong to Christ, we also belong in God’s family! When we are Christ’s, we will never be alone again! THINK ABOUT: Think about some of the people God has placed in your life to help you – maybe your parents, an older brother or sister, a teacher or friend. Now think about who are you being a helper or friend to? REMEMBER: When we have Jesus, He promises to stay with us! We are NOT alone! PRAY: Thank God for making you just the way you are! Thank Him for giving you friends & family, but most of all for Jesus Who promises to always be with you! Longer Kids Bible Lessons - "I Am Christ's"
Dr. Bruce Banner was just a plain man until a gamma bomb made his anger turn him into the Hulk.! His inner anger changed what he looked like. 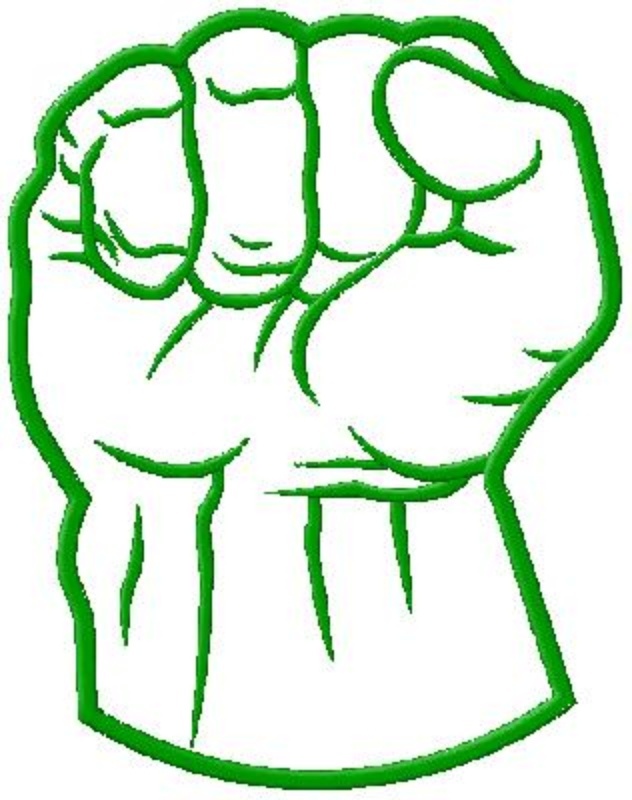 He became super strong and….super GREEN! There is a man in the Bible that was also super strong and looked different from others too! He wasn’t green, but he had super long hair. His name was Samson. Samson was set apart as a child to live a life for God. Among other things, he was not to cut his hair. He was what they called a Nazarite. From the time he was born, Samson was set apart for a purpose. God would use him to save His people, the Israelites, from the Philistines. Samson made mistakes in his life, but when Samson turned back to God and called to Him, God answered and gave Samson strength to fulfill his purpose. THINK ABOUT: What are some ways God is using you or can use you right now in your life? What things are you good at? What are some things you really like to do? Those aren’t be accident! God can use them – sports, being friendly, good at math, taking care of pets, etc. REMEMBER: God has a purpose and plan for your life too! You have been called and set apart for His good work! There may be times you mess up or sin against God. God promises if we turn back to Him and ask Him to forgive us, He will. Then He can use us again for His special plans for us! PRAY: Thank Jesus for being with you! Thank Him that He has an incredible plan and purpose for your life! If you need to ask Him for forgiveness, do that now. Thank Him that He never gives up on you! He is for you & with you! 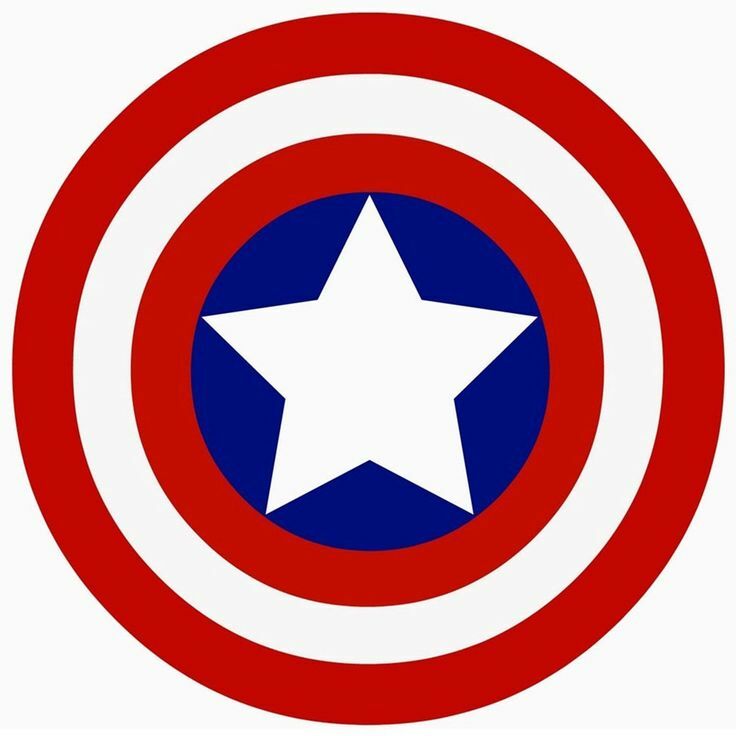 Kids Bible Lessons - "I am Called"
Steve Rogers, better known as Captain America was the first of Marvel Comics’ group of heroes called “The Avengers”. He was known to stand for freedom and justice. He would stand up for anyone needing a hero. He was a weak young man that the army didn’t want until he became a part of a secret experiment called “Project: Rebirth” which made him a strong super soldier in World War II. Of course we know Captain America was not a real man. There is a real Avenger or Redeemer like we talked about earlier this week. His name is Jesus. He is fully God and came to earth as fully man so that we could be rescued from death caused by sin. He is ready to save anyone willing to admit we need a hero…a Savior. Only Jesus can rescue us and give us eternal life. Yes, it is God’s “Project: Rebirth”. Jesus made a way for us to be born again as He says in the Gospel of John chapter 3! In the Gospel of John, chapter 3, Jesus talks to Nicodemus about being born again. Turn there and read the chapter; you will recognize verse 16 right away, but did you know that Jesus was talking to Nicodemus? Jesus is the ultimate hero and He is REAL! He came to earth born as a man, lived a perfect life and never sinned, died on the cross paying for our sin, and was raised to life so that He can give His eternal life to us.! When we turn to Him admitting we need Him to rescue us because we are sinners (we have rebelled against God), He saves us and becomes our Lord…our Captain. We follow Him and let Him lead us into victory and into life! THINK ABOUT: Have you accepted Jesus as your Lord & Savior? If so, what are some ways He is changing you to make you more like Him? Are you different than before? REMEMBER: God is for you! Jesus is our ONLY hero and desires to lead us each and every day as our Captain. We can trust Him with our life now and our life forever! PRAY: If you already have accepted Jesus as your Savior and Lord (Captain), thank Him for saving you! Pledge your allegiance to Him; tell Him you want to live for Him and serve Him everyday from now on! If you have not asked Jesus to rescue you and be your Savior (Redeemer/Avenger), you can ask Him right now! Let a leader know if you need help. But if you don’t feel that “tug” on your heart yet, ask God to lead you to Him. Keep seeking after Him. God promises that if we seek Him with our whole heart, we will find Him. He knows you and wants you to know Him! 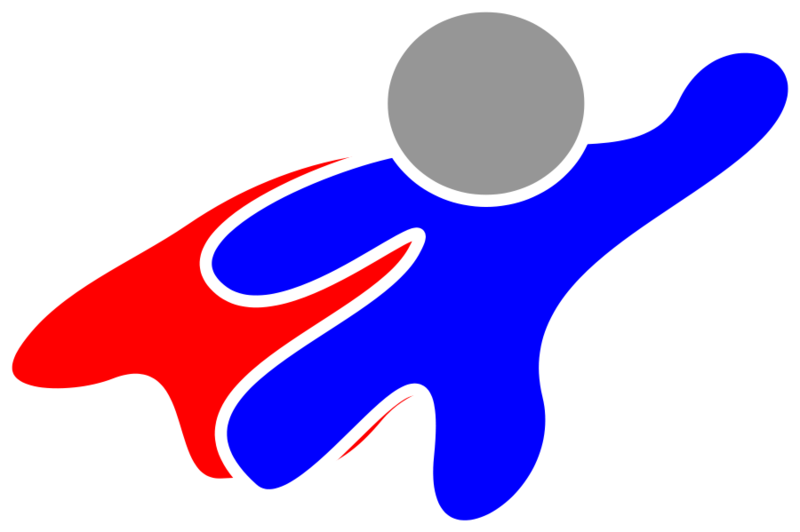 And after reading these kids Bible lessons about superheroes, you may be wishing for a superpower of your own! What would it be?! 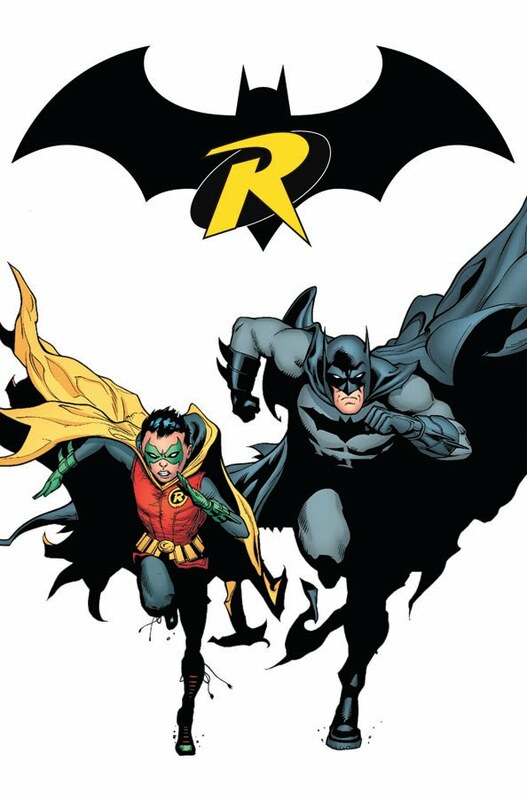 When you think of the “Dynamic Duo,” you probably think of Batman & Robin! But after we receive Jesus as our Lord & Savior, we are no longer depending on our own strength; He gives us a partner! Well, when we accept Jesus as our Lord and Savior, He gives us His Holy Spirit to live within us – talk about SUPERPOWER! WOW! BAM!! SHAZAM!!!! Don’t think now that it’s all over! Our journey with Jesus is just beginning! LOOK IT UP: Open up your Bible to Romans 8:9-11, and you will see it say that Jesus (Christ) lives within us through His Holy Spirit! Your Bible may say “dwells” or “indwells” which both mean to “live in”. Turn to Philippians 1:6 in the New Testament and see what Paul says about this work that Jesus has begun in you! He didn’t start something new in you for you to finish; He promised He will keep on working on us to make us more and more like Him! We may doubt because we can’t see the Holy Spirit. We can’t see the air either, but we can see when it moves the leaves on the trees or we hear it and feel it blowing! Look in the Gospel of John 3:8 to see what I mean! THINK ABOUT: Go outside and see if the wind is blowing. Let it remind you that even though we may not see God, we can know He is with us and all around us and in us! PRAY: If you already have accepted Jesus as your Savior and Lord (Captain), thank Him for saving you! Pledge your allegiance to Him; tell Him you want to live for Him and serve Him everyday from now on! And thank Him for living in you by His Holy Spirit! Think about some of the weapons some of the Marvel Super Heroes have – Batman had all sorts of hidden weapons in the belt he wore; Captain America had his special shield; Ironman had a protective armor and a helmet that talked to him and gave him all sorts of special information; and the list goes on! Each one had a different set of tools and abilities to fight against evil. God has given us tools and abilities to fight against evil too! For the next few days, take time each and every day to be still in a special place and time without distractions and draw near to God using these devotions to get to know Him better and how He has equipped us to fight against evil. Always remember that in addition to all the armor of God; His greatest gift is that He is with us and fights for us! LOOK IT UP: Turn to Ephesians 6 in your New Testament. Go ahead and read verses 10-18 and jot down all the pieces of armor God gives us. (Ex. belt of truth, …) Now go back and write down each thing we are to do such as “be strengthened”, “put on the armor”, “stand firm”, etc. Now go back and look at verse 12. Who is our battle against? Look up the following verses and see what they say about Satan. Write it down. Yes, Jesus is greater and because He lives with in us as believers through His Holy Spirit, we are more than conquerors!!!! One more verse today…Romans 8:37-39; what can separate us from the love of God that is in Jesus our Lord? __________________________ That’s right! NOTHING!!! THINK ABOUT IT & REMEMBER: As believers we know the truth of the Bible…in the end, God wins!!! Jesus has already conquered death for us! PRAY: Take time to thank God for fighting for you! Talk to Him about any fears you may have, and thank Him that no matter what, He is with you and NOTHING can separate you from His love in Jesus! Called – God has a special purpose and plan for your life! 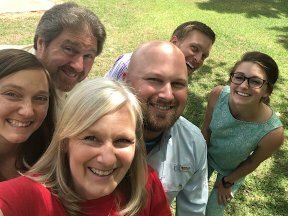 We’ve had fun learning about heroes of the Bible, but what’s next? How can you take what you’ve learned and experienced and live it out in incredible ways for God as a hero in the world He has placed you? What is God calling you to? Jesus showed us the greatest example of a true hero – to help in time of need and rescue. What need is God showing you…someone who needs your help? It may be a younger brother or sister that looks to you as an example of how to live for Jesus! It may be another student at school that needs a friend! It may be an elderly next door neighbor that could use a younger hand to help! Or it may be a stranger that needs a smile to give them hope! Put on your super-hero glasses and look at the world through the eyes of Jesus; let Him show you others that need His love. God gives us tools, armor, weapons and more to help us be the hero we can be for Him! 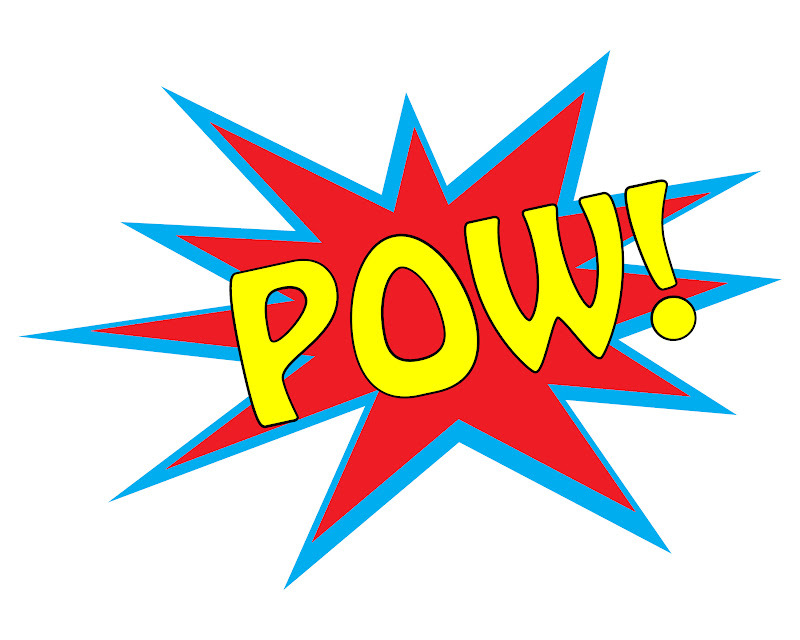 Come on…let’s put on our super powers!!!! PRAY: Find a quiet place and be still. Recognize God is with you; maybe even pull up another chair to remind you that He is right there! Talk to Him about the things on your mind and on your heart. Also, be still and listen to Him. Open your Bible to Psalm 46:10; God can speak to us through His Word, the Bible. Think about what this verse says…be still…know that He is God. 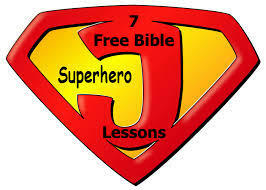 Free printable copy of these 7 Super Hero Kids Bible lessons for personal use. Our prayer is that your children enjoy these kids Bible lessons and grow to know Christ in a real and personal relationship. If you have time, take a look at some other kids Bible lessons and object lessons that can help them do just that!